One of Apple’s most fiercely guarded secrets? The name of the next iPhone. It’s known that the device will launch later this year, complete with a stainless steel and glass body, a better screen and a speedy 3-D sensor that recognises your face. It may be called the iPhone X, to celebrate the iconic product’s 10th anniversary, or maybe just iPhone 8. But Tim Cook doesn’t want us to know for sure until he utters the name on stage. In recent years, Apple-obsessed sleuths have managed to ferret out the names and details of the company’s products by searching trademark offices around the world. But their challenge has become exponentially harder thanks to a well-timed rule change at Jamaica’s trademark office and some clever maneuvering in Liechtenstein. First, a little background. Apple has employed various tactics to keep its product names secret over the years. One is to simply register the name via a Delaware shell company. That’s what the company did as it was preparing to launch the iPad in 2010. But the trademark was also filed in major regions like Asia, and by the time Steve Jobs unveiled the iPad at a splashy event in San Francisco, the self-styled detectives had plastered the product’s name all over the web. A more effective approach also used by Google, Amazon and other tech companies involves registering names in foreign countries without searchable trademark databases. These include Trinidad and Tobago, Barbados, Peru and Jamaica. The latter has become a favourite hiding place for companies such as Apple. The Jamaica Intellectual Property Office is housed in a modern palm-flanked building in the capital, Kingston. The only way to conduct searches is in-person, meaning sleuths need to fly to Jamaica or hire a local trademark lawyer to search the office’s computer system like an old-school library. Because the HomePod name was registered in Liechtenstein, no-one discovered the name before it was announced. Last year, a lawyer named Brian Conroy, having learned that Apple used Jamaica to register its trademarks, decided to see if he could dig up information on future products. Why would an Irish lawyer do such a thing with no obvious way to monetise the information? The self-described “trademark ninja” paid a local law firm hundreds of dollars to search the office’s on-site computers-and hit a rich vein. Months before Apple’s September and October launch events last year, Conroy published a list of trademarks applied for in Jamaica. 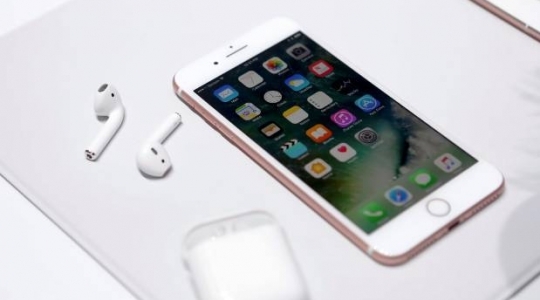 One pair of filings, the “iPhone 7″ and “iPhone 7 Plus”, were obviously the next handset models. Conroy also pulled up less obvious names like “AirPods” and “Touch Bar”. The AirPods ended up being the name for Apple’s new wireless earphones, while the Touch Bar is the touch screen strip on the latest MacBook Pro keyboards. A few months ago, Apple applied to register the trademark for its new Siri-powered speaker in Liechtenstein. While the principality has an online trademark database, product names don’t show up until the trademark application is approved, a process that takes time. 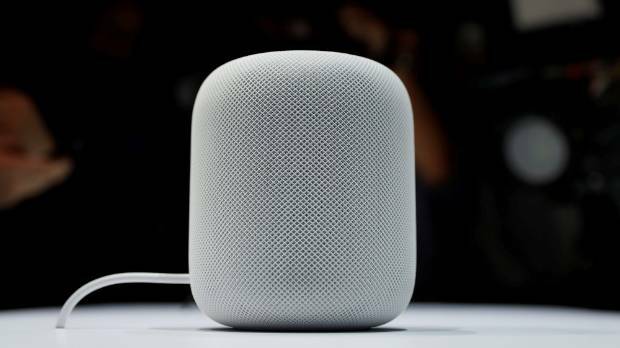 As a result the world didn’t learn the gadget’s name-HomePod-until its unveiling in June. Apple declined to comment. Conroy says it’s now next to impossible to discover product names, especially for entirely new gadgets or computers.